Is my Air conditioning working? I have just had my air con re-gassed as I notices a couple of weeks ago the windscreen misting up, last time that happened 2 years ago, the air con had run low on gas so, the pump would not engage. The garage that has just re gassed my air con said that it required 350g of gas and is now working fine, no leaks detected but, I have not noticed any difference when set down to 16c, I think it blew much cooler a year ago when we had some warm weather. I don't think I can hear the clonk of the pump engaging when turning on the air con and the revs do not dip, but I can not remember if this happens on the Jag as I always have the air con on. Could anyone advise on how to check for sure if the pump is working and if not where to start looking for problems? I have an XF 3.0D S, 2011. Occasionally when starting up, I get some mist onto the windscreen for a few seconds, but it quickly disappears. Aircon blows as cold as Siberia tho, and chilled seats can get uncomfortably cold if let rip. I don't think I'd worry about the mist unless it persists, but maybe check to pollen filter? Thanks for the reply Jon. The misting starts on wet days and does not clear, can not say my air con is blowing as cold as Siberia, more like a chilly day in Bournemouth. My concern is I have given £96 to a garage I trust to re gas and test my system but, can not notice any improvement, we have not had any rain yet to try out the misting. Just wondering if there are any tests I can do to check for sure. 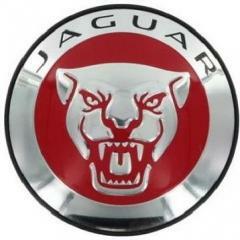 I wish I could give some insight to the problem, but I'm relatively new to the world of Jaguar - bought mine in October last year, after 30+ years of company cars. I guess XFs should all do pretty much the same if there's no problem. Maybe try an aircon specialist? The reason I mentioned the pollen filter is that on our test drive, the speed limiter sitting in the passenger seat complained of a mouldy smell. Dealer said it was moisture collected in the pollen filter which they replaced before I collected the car. I was just thinking that if you have the same, it might be causing your misting. If pressure is not correct , then there probably is a leak somewhere, or the shop didn't fill enough gas. Also, If the pressure reading are correct and no issues with fuse/realy/ or pressure sensor then (If u havnt had all the gases removed already before filling to specification) Have a shop remove all the air con gas and inject new gas into the system, make sure theyre using the right gas, in the u.s we have r134a and newer cars now take r1234yf. A r1234a system will not work if r1234yf is used- or the other way around. Go into climate settings on the touchscreen and make sure the recirc sensitivity setting is set to off, otherwise it can occasionally mist up a bit in this weather. Thank you Akaz for spending the time to write out the informative information, it is most helpful. I will look into it and let you know how it goes. Also thank you Kie. I will have a look and see where mine is set.